Before there was a Jason Collins…. 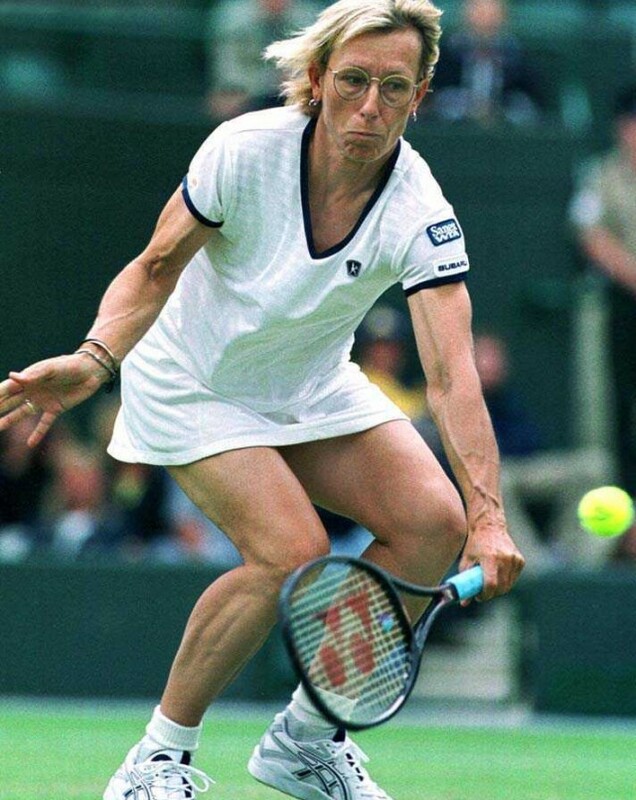 Before there was a Britney Griner… there was our newest inductee to the League of Extraordinary Lesbians, and one of the best tennis players of all time, Martina Navratilova. Navratilova dominated Women’s professional tennis for over a decade. She’s won 18 Grand Slam singles titles, 31 major women’s doubles titles (an all-time record), and 10 major mixed doubles titles. I could go on and on about her titles and accomplishments but that’s what Wikipedia is for. But it’s pretty safe to say she meets the criteria of an athlete [check]. Martina came out publicly as a lesbian back in 1981…. yes 1981. Let’s put this in perspective, in 1981 Jason Collins was sitting in diapers, and Britney… Well Britney wasn’t even a twinkle her father’s eye. Did I mention she even dated another 80s celezbrity Rita Mae Brown (yes the one who wrote Rubyfruit Jungle)? That’s pretty gay to us [check check]. 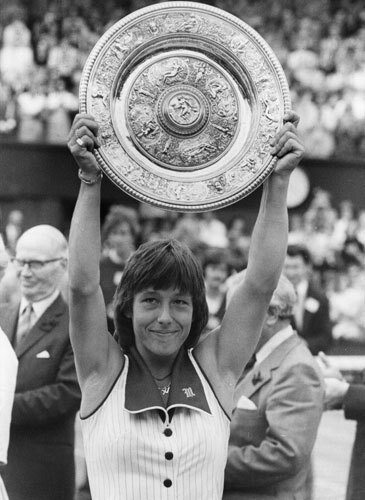 Martina, you might not be a super lesbian but you are definitely something like it… from your dominance on the court and your fearlessness in your convictions you have been a shining example for professional athletes for over 30 years. Follow her on twitter at simply @martina or visit her website here. Do you know any SLSLs in your neck of the woods? Email me at kristi at the kword.com or tweet me@kristiweb.